Do Florida Homes Need Fireplaces For Value Purposes? 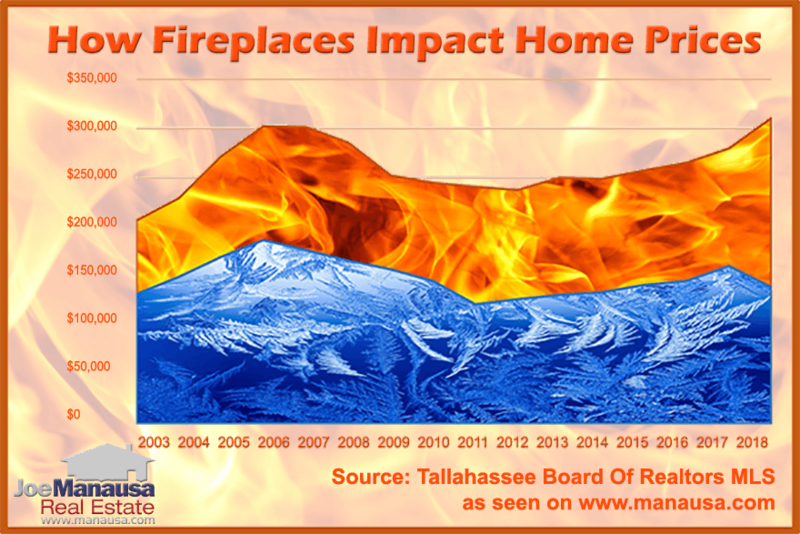 Tallahassee is having its coldest winter in recent memory, and we're starting to get some questions about the impact of fireplaces on the long-term value of homes. Specifically, buyers want to know if a home needs a fireplace to hold its value over time, so we've gathered the data and have a definitive answer for you here. 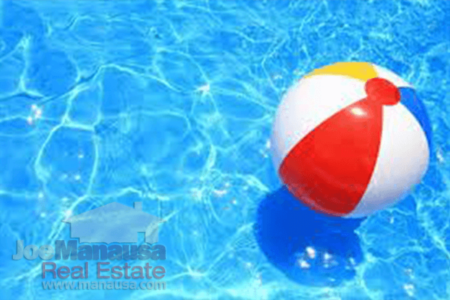 Currently, just less than one half of all single family detached homes for sale in Tallahassee come with a fireplace, and we've included them here for reference. The detailed analysis continues below the listings. With thousands of homes for sale, both with and without fireplaces, how do we determine whether or not a fireplace is needed for future home valuation concerns? The following graph was assembled with more than 15 years worth of home sales data from Tallahassee, Florida. We look at the average price of homes each year, segmented by whether or not they contain fireplaces. The fiery orange area shows the average annual price change for single family detached homes with fireplaces, while the icy blue area shows the average annual price change for single family detached homes that do not have fireplaces. I believe the graph above provides some useful information and one interesting twist. For those reading this article past the date of publishing, you should note that the data used came from the full calendar years of 2003 through 2017, but only for the first four weeks of January in 2018. The average price of homes with fireplaces appears to move in concert with those without fireplaces. Over 15 years, homes with fireplaces sold for an average of 63% more than homes without fireplaces. This ranged only from as low as 61% and as high as 67%. While it is far too soon to evaluate 2018, the cold start of the year might be having an influence on the graph above. Note how homes with fireplaces are moving higher while those without are moving lower. Currently, homes with fireplaces have sold for an average of 69% more than homes without fireplaces. I think if we could survey owners of homes with fireplaces in Tallahassee, most would tell you that they rarely build a fire. Average January high temperatures reach into the 60s here so there are not many opportunities to use a fire. Even this year, my family has not used our indoor fireplace at all, though we've used the firepit in the backyard several times. My advice to buyers concerned about the need for a fireplace is to ignore it from a valuation standpoint. If you want a fireplace, get one. If not, don't worry about it. Out of the 104 new homes listed for sale right now in the MLS, only 2 have a wood burning fireplace, while 43 have a gas burning fireplace. That means 57% of new homes being built do not have fireplaces and most appear to be selling like hotcakes. If you are building a home and are concerned about the future resale value of a home without a fireplace, I recommend you only add one if you want one. 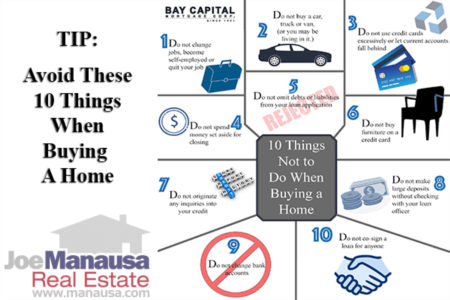 Most people starting the process of buying a home in Tallahassee give no consideration to the value a seasoned Home Buying Specialist brings to the table. In fact, most end up using an agent they never interviewed simply because that agent was available to show them a home when they wanted to see it. Here's one thing to consider. If we know this much about the impact of fireplaces on a home's value (and whether or not they should be part of your decision making process), can you imagine how much more we know that can be used to help guide you to a happier home purchase? Maybe that's why we have more 5-star customer reviews on Google than all the other agents in Tallahassee combined! Give us a chance to show you how we can save you money and help you be happier with your purchase. Just give us a call at (850) 366-8917 or drop us a note and we'll be in touch right away to set up a time to just talk. Want to know how we're doing? See what our recent clients are saying about our services!